To be representative of the culture, the history of the region and the people of the region within a package that is responsive to its challenging climate. To shield from the elements while simultaneously welcoming the community and connecting underutilized existing assets within the city’s future urban revitalization plan. Mosaic Stadium’s design is characterized by its reflection of the province and its people. The stadium’s roof design grew out of fluid dynamic modeling combined with the embodiment of the province’s renowned, open sky. Both the design of the roof form and the location of building massing were sculpted to shield fans and players from the prevailing northern winter winds and to shed snow accumulations. The playing surface was set below grade to aid both the climatic response as well as the visual impact to the surrounding developments. Regional and contextual materials take inspiration from both the agricultural heritage at the heart of the region as well as stone native to the area’s geology. The flow and the texture of the fields when combined with the aura of the northern lights as seen in the region provided powerful visual cues that informed and enriched the contextuality of the project. 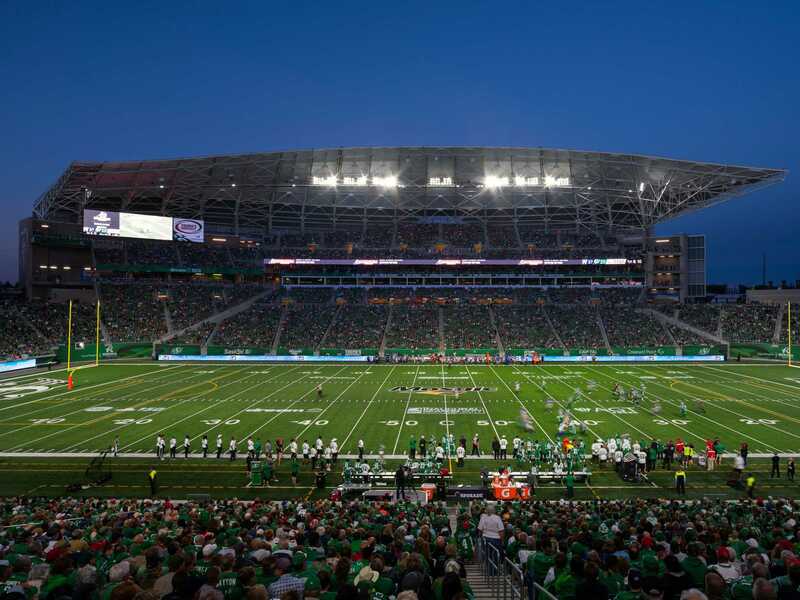 Within the framework of the city of Regina’s urban revitalization plan, Mosaic Stadium is both an integral component and a foundational element. Surrounding entry plazas and corresponding view corridors were carefully conceived to maximize connections to both the adjacent Evraz Place development, the existing Confederation Park, as well as the planned linear park that physically links the stadium to the city’s greater master plan. HKS worked on the project in conjunction with B+H Architects and TD Securities. 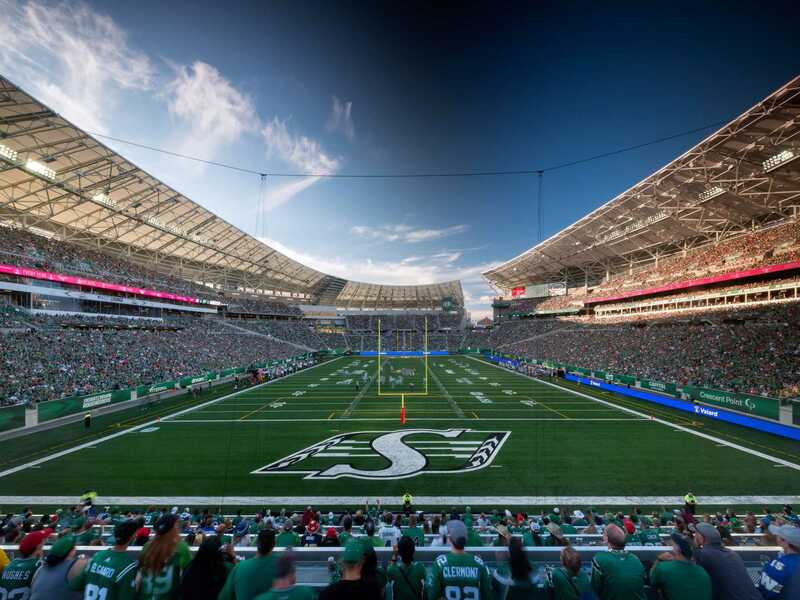 In addition to the Saskatchewan Roughriders of the Canadian Football League serving as the primary tenant, Mosaic Stadium’s built-in flexibility can accommodate concerts, FIFA soccer matches and a variety of cultural and entertainment events. Its 33,000-seat capacity is expandable to 40,000 seats. 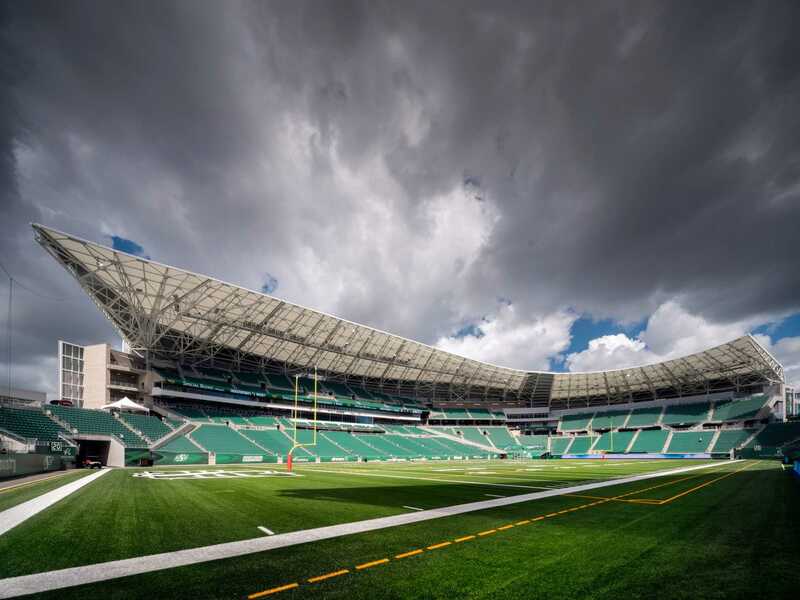 Going forward, the stadium will serve as the anchor and the catalyst for the City of Regina’s master planning efforts.